You'll be £25.00 closer to your next £10.00 credit when you purchase The Tanks of Operation Barbarossa. What's this? When the Germans invaded the Soviet Union in 1941 the Red Army had four times as many tanks as the Wehrmacht and their tanks were seemingly superior, yet the Wehrmacht won the border battles with extraordinary ease the Red Armys tank force was pushed aside and for the most part annihilated. How was this victory achieved, and were the Soviet tanks really as well designed as is often believed? 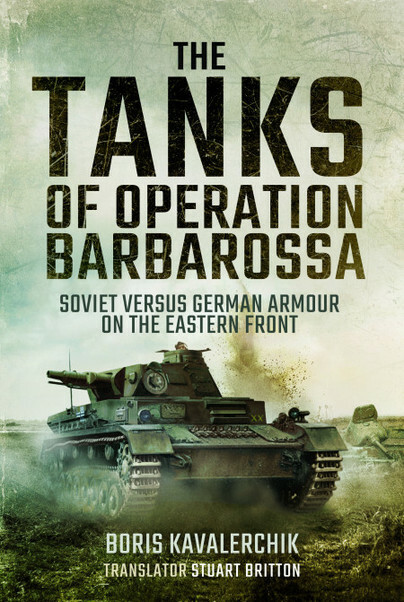 These are the basic questions Boris Kavalerchik answers in this absorbing study of the tanks and the tank tactics of the two armies that confronted each other at the start of the war on the Eastern Front. Drawing on technical and operational documents from Russian archives, many of which were classified until recently and are unknown to Western readers, he compares the strengths and weakness of the tanks and the different ways in which they were used by the opposing armies. His work will be essential reading for military historians who are interested in the development of armoured warfare and in this aspect of the struggle on the Eastern Front. section with a number of very informative tables in the body of text. Boris Kavalerchik is a mechanical engineer from the USSR who served in the Soviet armed forces reserve before emigrating to the United States. He has made a special study of the opening campaign of the Second World War on the Eastern Front, focusing in particular on the performance of the Soviet tank arm during the German advance. In Russian he has published a monograph and many articles on the subject, and in English he has published 'Once Again About the T-34' in the Journal of Slavic Military Studies. He is currently working on a comparative study of German and Soviet armour on the Eastern Front.